John Mary O'Sullivan, the son of Thomas O’Sullivan and Mary McLaughlin, was born in Lowell, Massachusetts on June 3, 1853. He entered the novitiate at Villanova, Pennsylvania on Septmber 22, 1876, and professed simple vows on September 23, 1877. He was solemnly professed at Saint Mary's in Lawrence, Massachusetts, on Septmber 24, 1880. 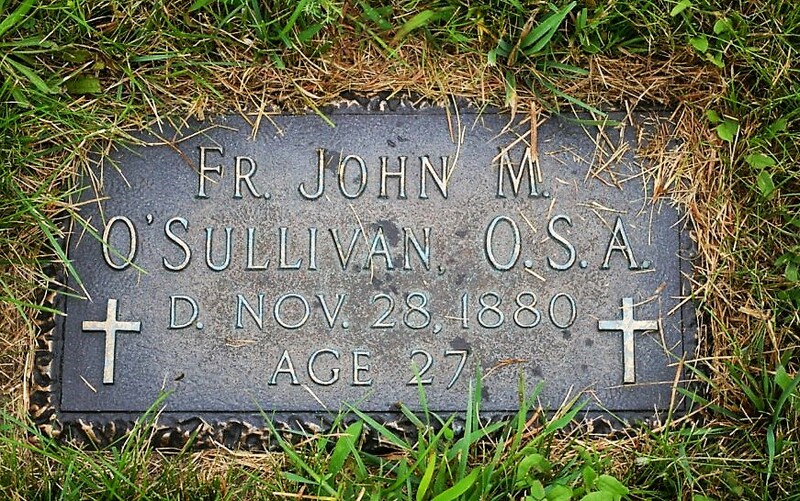 John O’Sullivan was 27 years old when he died in Lawrence on Sunday morning, November 28, 1880, of consumption. He is buried at Saint Mary's in Lawrence. Newer Post Nicholas D. Osuna, O.S.A. Older Post Daniel J. O'Sullivan, O.S.A.